Get excited for the second episode of our Back to Basics series. In our last episode we spoke about the big Why. Why should you be investing in real estate and why we began this journey. 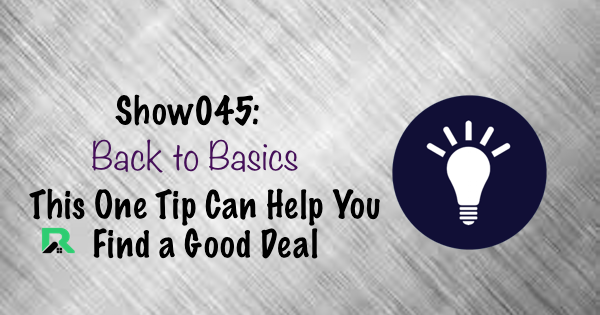 In episode 2 of the Back to Basics series we discuss the How. How should you go about investing in real estate and what are some of the biggest pieces of advice we've learned throughout our journey. Hands down, if you are a rookie, one of the best pieces of advice to go approach the "how" is to get a great real estate agent. As a rookie, you are trying to learn so many new things related to this field and it can be overwhelming. Having a real estate agent, that is knowledgeable about investing in rental properties, can not only make your life a little easier but also help you learn so much about a specific market and what you should look for when viewing properties. Tune in to the show to get more great tips on the How and why surrounding yourself with other knowledgable individuals in the field can help you grow immensely. Why having a knowledgeable real estate agent with investment properties can be the ticket. We are excited to offer you the opportunity to share your story with our community in 2016. We want to highlight specifically our community of investors and what each of you are accomplishing. Click here to submit your information to be a guest on the show!